Today I’m going to tell you about one of my favorite workouts, the Four Mile Track Tempo Run. 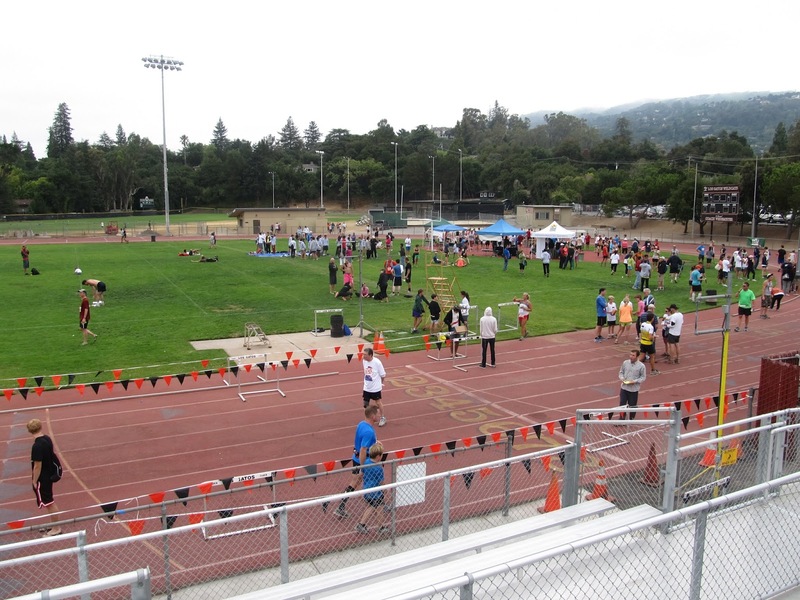 I started doing these runs over eight years ago with a loose collection of runners that gather at the Los Gatos High School Track Saturday mornings to do this workout with Brad Armstrong, Los Gatos running coach and owner of The Athletic Performance. The workout is pretty self explanatory. You run around the 400 meter track 16 times for a four mile run at tempo pace. Now if running 16 laps around a track sounds a little tedious, that’s partly the point of doing this. I find one of the hidden advantages of this workout is developing the mental focus and discipline required to keep knocking out lap after lap while keeping on a comfortably hard tempo run pace. And what’s a good tempo pace for these workouts? You can use the Fancy schmancy tables established by coach Jack Daniel’s. 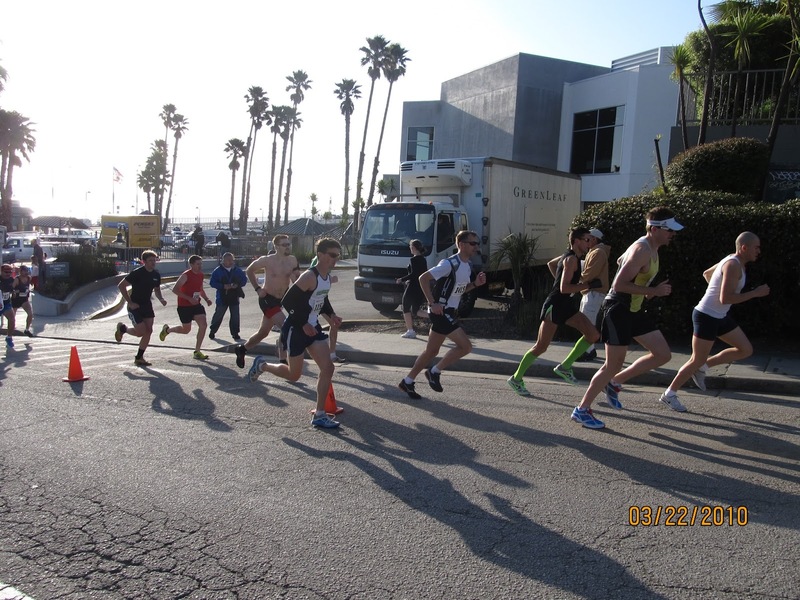 Daniels is the revolutionary coach who popularized the tempo run concept to increase the lactate threshold pace, the running speed at which the body starts producing energy anaerobically and generating leg-deadening lactic acid as a by-product of this anaerobic energy production. Instead of using the tables, you can just do what I do and run at “hard to talk at more than a couple sentences pace”. That’s right, when I’m doing this workout, I can probably say a couple quick sentences to the person running next to me, but no more than that or I’d starting going into oxygen debt. I want to go out comfortably hard so I’m not gasping for breath the whole way, but if I could carry on a conversation with the person running next to me, I’m running too slow and missing out on the full training benefit. The last six laps should be challenging to maintain pace, but not so challenging that it feels like a race effort. At the end, you should feel as if you could run at least another 2-3 laps if you had too. It takes a while to find the right pace, and the first couple times you do this workout, you may find yourself going out too fast and really struggling to maintain pace the last few laps. That’s OK, since part of the workout is finding the right pace, and it’s better to maintain pace for the whole four miles going a little slower than running the first couple miles fast and then dragging the rest of the way. The key to this workout is doing all four miles at the same comfortably hard pace and still being reasonably fresh the next day so your able to do at least a moderate workout the next day with no drop-off. If a four mile tempo run leaves you too tired to do anything but a few easy miles the next day, you’ve done it too hard. I’ll add that you’ll want to be running at least 35 miles a week consistently before doing these workouts. If you’re doing a little less weekly mileage that that, feel free to cut these runs back to 3 1/2 or 3 miles. Of course, you can also do these workouts on a running trail or other course other than a 400 meter track. Personally, I like doing this workout on a track because it’s easier to make sure I’m keeping an even pace and while there is a certain monotony running 16 times around in a circle, part of the workout is developing the mental tenacity to overcome this monotony. Of course, as your fitness level improves, you’ll naturally find yourself running faster. Typically, you don’t want to increase your pace more than about 5 seconds a mile every couple of weeks. It can be tempting to turn these workouts into race-like efforts, but avoid this temptation. Slow and gradual improvement as you keep an even pace over four miles for each tempo run provides best results. The best thing about this workout is that I find it is great for preparing for a wide range of distances from 10k to the full marathon. Currently, I’m doing these tempo runs bi-weekly with a training group on the Los Gatos Track Saturday mornings in training for the Monterey Bay Half-Marathon this coming November 17th. So far, these workouts are part of a steady weekly improvement as I ramp up my training for the big day. You never really know how things will go on race day, but by then I’ll have several Four Mile Track Tempo Workouts under my belt, so I like my chances.